Following common-senseguidelines can help transform a complex strategic planning process into one that achieves outcomes that exceed expectations. Few CBOs take exception with the notion that back-end implementation is the key to a successful strategic planning effort. Unfortunately, while computer desktops and shelves are filled with strategic planning tools, comprehensive implementation tools are often elusive. As a result, the shift from planning to execution is many times very slow, and outcomes generally fall short of expectations. Thankfully, formalizing an execution-centric culture doesn’t have to be a puzzle—if simplicity, common sense, and the discipline to stay the course guide the effort. In fall 2010, DePauw University’s board of trustees endorsed its version of a long-range strategic plan aimed at a set of aspirational outcomes to be realized by the year 2020. While energizing in its vision, the plan did not declare success at the time of its endorsement. Instead, the university has relied on execution-driven outcomes to signal success. This refreshing emphasis on implementation led to a simple framework for meaningful execution that the university has used to drive outcomes in areas that fall within the CBO’s responsibility matrix. The framework is anchored by four simple foundational rules that are outlined in the accompanying sidebar, “Follow the Framework.” Numerous initiatives have benefited from this framework; two specific projects are highlighted here to illustrate the simplistic power that the framework can generate. On Nov. 11, 1986, IBM Corp. announced that it would close a 350,000-square-foot, state-of-the-art distribution center in Greencastle, Ind., home of DePauw University. Since that time, the small city 50 miles west of the Indianapolis International Airport, has valiantly attracted new industry and maintained the strong bones of a rural county seat. However, the ghosts of IBM’s retreat remain and, until recently, entered nearly every conversation related to Greencastle economic development. The Greencastle downtown district that borders DePauw University suffered as a result of the loss and, for a number of years, has surfaced as an obstacle in faculty, staff, and student recruiting efforts. Ongoing recognition of the challenges led to Greencastle revitalization becoming a key strategic initiative in DePauw’s strategic plan. The challenge also spurred a joint 2011 planning effort between the university and City of Greencastle. 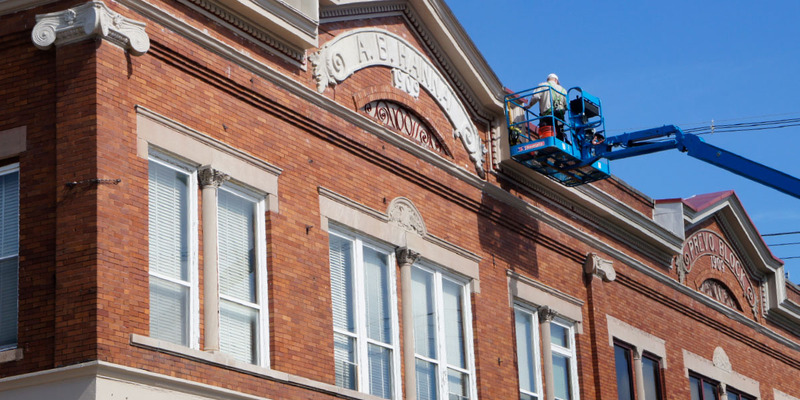 This effort resulted in inaugural participation in a State of Indiana rural community development program that infused several million dollars into downtown Greencastle’s infrastructure. Over the span of three years, that development visually transformed downtown Greencastle’s infrastructure. But, empty storefronts remained. As infrastructure improvements matured, efforts focused—unsuccessfully—on attracting new tenants to a renovated downtown district. In a moment of frustration, the implementation framework described here was put to paper, and it set in motion a renewed turnaround. Following are selected examples of the way the framework helped guide the Greencastle development initiative. Inspire stakeholders to think big. The vision for downtown Greencastle revitalization shifted beyond one focused solely on servicing Greencastle residents and DePauw students to a broader effort aimed at serving (1) more than 2 million people who live within 50 miles of the Greencastle courthouse square, (2) the more than 40,000 vehicles that pass daily along the state and interstate highways connecting the community to the other parts of the Midwest, and (3) the many visitors that come to DePauw’s campus each day. The adjusted vision immediately increased the stakes and, interestingly, furthered the conviction that a change was possible, despite the seemingly more difficult task. The initiative was branded “Reimagining Greencastle,” and an informal team of six people was formed to drive the initiative. The six team members still meet eagerly every Thursday morning at 6:30 a.m. at the new (and highly successful) Starbucks in downtown Greencastle. The project is an inspired one. Establish a supportive IT framework. The university adopted project management software, Basecamp, at the same time the university formed the team. Entries into the project management software are generally made seven days a week and have kept team members knowledgeable about activities and focused on the effort. Other DePauw administrators and trustees follow development activity on their Basecamp feeds, and the professional supportive framework has provided a powerful communication and tracking mechanism. Results of Reimagining Greencastle include the transformation of empty storefronts to niche retail establishments and a previously unthinkable increase in downtown activity. Empower participants to take responsibility and stay on task. Each member of the project team has accepted responsibility for Greencastle development, and each has been actively involved in recruiting culinary, retail, or cultural enterprises. In times when work has lost focus, redirection has been quick and very effective in keeping the entire team on task. Each team member is empowered to engage in activities that support the creation of one of the Midwest’s great destination towns. Credit for outcomes and achievements is shared freely and publicly to internal and external constituents, including the university’s board of trustees, and each member of the team feels of equal value to the project. Re-energize engagement via ongoing communication. Each project report includes the project vision statement (“Reimagining Greencastle”). As a result, the team is consistently reminded of the scope and ultimate importance of the initiative. Because of the long-standing challenges that have faced Greencastle, naysayers have emerged from all corners—inside and outside of the university. Each team member is responsible for differentiating between valuable critique and uninformed criticism. 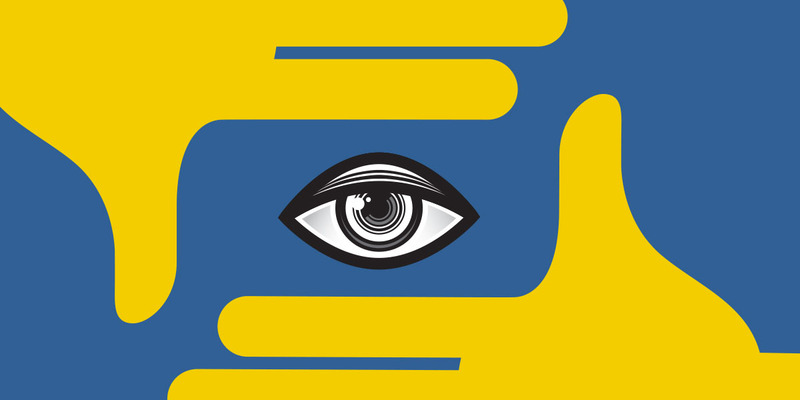 Uninformed criticism is kept as far from conversations as possible—a tactic that has kept doubt from creeping into the vision. Further energy has come from an approach that embraces failure as a tool. For example, early tenant conversion attempts focused on demographics rather than vision, an approach that did not work. In other words, we were caught up in the existing demographics and population within a few miles of campus, and when we approached national chains such as Chipotle, corporate decisions relied solely on the populations of Greencastle and DePauw. The team quickly learned from the failure and pushed on with a refined approach, reorienting the vision to that of serving 2 million people within a 50-mile radius. The results have been astounding. 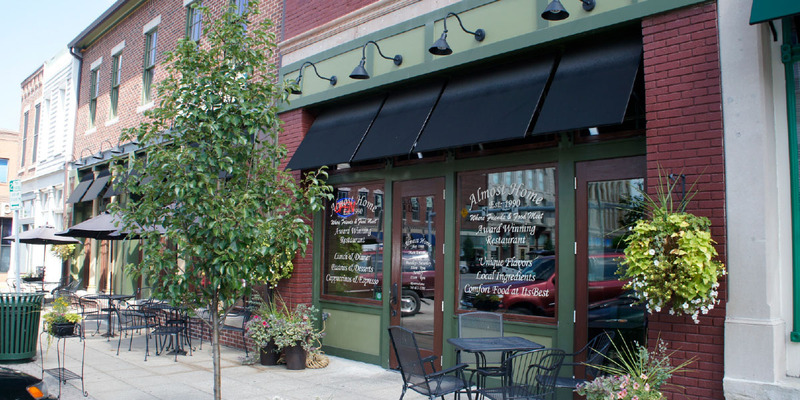 At this time, empty storefronts have been occupied by niche retail establishments, such as a craft tap house, a candy shop, a locally originated brew pub, a student-led Christian coffee house, and a unique DePauw-led 21st century music initiative. We’ve received further commitments from an ice cream shop and a high-end tapas and wine bar with a rooftop performance venue. In addition, a robust pipeline of commercial enterprise will soon seed additional commercial activity in the downtown district. Existing downtown businesses, which have supported the longstanding stability of the downtown square, are also upgrading. Almost Home restaurant, for example, has installed a new kitchen and remodeled the front of the house. The university’s new downtown bookstore and a new full-service Starbucks serve as models for an effective town-gown interface. This level of activity in downtown Greencastle was unthinkable just a few short years ago. More than $10 million of third-party investment has made its way to the downtown Greencastle district, and while we have no data as yet, the implementation of the Greencastle development tenet of DePauw’s strategic plan will undoubtedly exceed even the most optimistic of expectations. True of many college and university plans, competing tenets of DePauw University’s strategic plan focus on (1) investment in employees, and (2) improvements in the university’s business model. In an attempt to balance the two priorities, repeated tweaks to the university’s employee health-care plans maintained generous benefits, while flattening the health-care cost trend line. However, this tweaking and the related results emerged over time as unsatisfying to university employees and to the operating budget. A more interesting solution emerged after several years of evaluation, and we once again put the implementation framework in place to drive an initiative that has generated significant interest both inside and out of the DePauw community. The initiative, branded DePauw Health, brings together a comprehensive employee and student wellness program; an on-site integrated health clinic for students, faculty, and staff; curricular and co-curricular health-related education programming; and a number of other facets in service of placing DePauw among the healthiest campuses in the nation. At the time the university made the decision to introduce DePauw Health, the project team mapped an implementation plan against each of the 14 subpoints of the execution framework. Following are examples of how the framework helped guide the DePauw Health initiative. Inspire a comprehensive plan design. The branding of the many components of a wellness initiative under one central DePauw Health name quickly signaled the comprehensiveness of the plan and its strong institutional support. More importantly, by publically declaring a target as bold as that of becoming one of America’s healthiest campuses, the initiative interestingly moved from overwhelming to inspiring. Finally, the initial project team of four evolved into a self-appointed and published project roster of 30 individuals who each see their efforts as part of something bigger than what they might accomplish individually. Establish a framework that facilitates project functionality and visibility. The university selected implementation partners that brought with them very strong traditional project management expertise. This traditional project planning underpins both project accountability and communication efforts. A formal communication plan resulted in regional print and television exposure and extensive social media play. The project team developed a regularly issued newsletter and strong Web and social media presence (depauwhealth.org) to ensure consistent communications to faculty, staff, and students to drive post-launch success. Empower key players. Leadership roles have been embraced by DePauw’s director of human resources, director of athletics, facility support personnel, and others at all levels of the organization. Each team member understands the vision and the importance of meeting established tactical goals. Each team member also understands that he or she is empowered to make decisions that will drive a culture change at DePauw. The weight of that potential impact has created an environment rich in empowerment in terms of deciding what lineup of prescriptions the clinic includes in inventory, physician coverage and scheduled hours, all staffing decisions, and marketing and communication planning and implementation. The team made the decisions related to all details of physical layout and space renovation. Re-energize the team with messaging. With each communication regarding DePauw Health, the university repeats the vision of becoming among the nation’s healthiest campuses. This has kept team members motivated and energized. In addition, initiative leaders have been nimble and patient in evaluating multiple facility options for a new integrated health clinic. This top-of-mind patience has kept all team members energized. 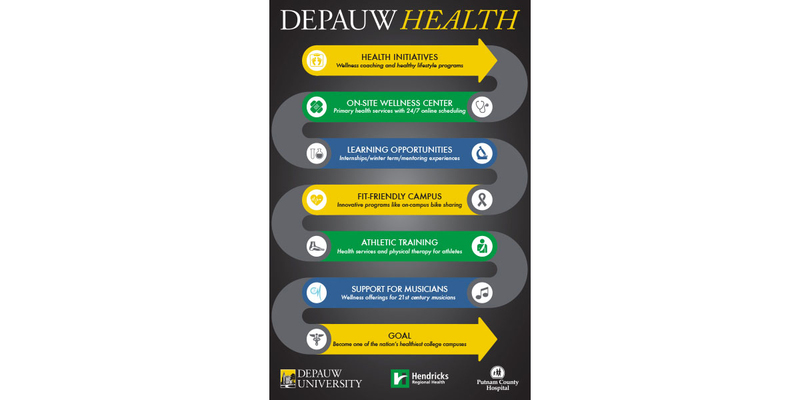 DePauw Health launched in August 2015. Employees see great value in the new benefit, students view the initiative as a differentiator, and—over time—cost reduction is anticipated to reach seven figures. To date, more than 40 percent of DePauw’s qualified employees have participated in the wellness program, and health-care expense in 2016 was more than 10 percent below budgeted costs. A simple execution framework has fast-tracked implementation and has provided a solution to what seemed for several years as mutually exclusive strategic planning outcomes. Chief business officers can play a vital role in project implementation by establishing a framework supportive of strategic implementation and execution. In fact, the opportunity for CBOs to participate in the important implementation phase of strategic change has evolved into a responsibility. Using a pragmatic approach to carry out this responsibility can often provide a surprising benefit that will differentiate a strategic planning effort. BRAD KELSHEIMER is senior vice president for finance and administration at DePauw University, Greencastle, Ind. Chief business officers can play a vital role in project implementation by establishing a framework supportive of strategic implementation and execution. Formalizing a four-step, execution-centric process that employs simplicity and discipline can ensure that strategic goals are implemented efficiently and in a timely manner. 1. Inspire. A number of actions can motivate and energize those carrying out initiatives and projects. Communicate a bold vision. Paint a clear and compelling picture of what success looks like. An uninspired vision will beget an uninspired result. Define the team. Nothing inspires like a network that shares vision, accountability, and celebration. Create a culture where people are clamoring to join. Seek input, hold meetings, communicate broadly, and so forth. Brand the project. Give the project and team an identity with which to associate. A cryptic name that signals an interesting rallying cry is one way to do this. We branded the town-gown initiative “Reimagining Greencastle” and we branded our on-site wellness program “DePauw Health”—and consistently included those brands in our messaging. 2. Establish a supportive framework. Being deliberate about details and priorities helps guide positive performance. Formalize a traditional project plan. Establish timelines, priorities, ownership, and other details. Formalize progress reports. Establish a “never miss” communication strategy (report-out dates, consistent formats, etc.). Regular communication can’t be optional. Lack of communication is the No. 1 killer of inspiration, momentum, and execution. It may not always matter who reads the communication (or if anyone reads it). It’s inspiring to the author and keeps the project rolling. Select the right tracking and communication tools. Engage the team with professional project management tools—an important project deserves an important project management tracking system. 3. Empower. Allowing team members to make certain decisions without supervision keeps the project moving. Develop operating parameters. Operating guidelines provide the direction that will facilitate trust—the key to empowerment. Step in early to redirect, if necessary. Early redirection ensures that effort is not wasted—another killer of momentum and an obstacle to building future teams. Assume good intentions. Most every team member will want to add value most every time. Eighty percent might be good enough. Let go of burdensome control. Some progress might be better than perfect progress. Seeking perfection equals a one-person team. Give credit. Value those who execute more than those who plan. Give credit freely. 4. RE-ENERGIZE PERIODICALLY. Interest and enthusiasm can flag, especially with a lengthy initiative. Refresh the vision. Communicate the bold vision with each progress report. Remove the naysayers. Remove negative influences from the team quickly—create a culture of zero tolerance for those focused on obstacles rather than solutions. Delineate between valuable critical thinkers and worthless peanut gallery critics. Keep one, boot the other. Exercise patience. Find ways to reward persistence by celebrating wins on a regular basis. Masterfully communicate progress internally and externally. Let failures go. Dwelling on failures is deflating and curbs momentum. Learn from failures and then let them go.